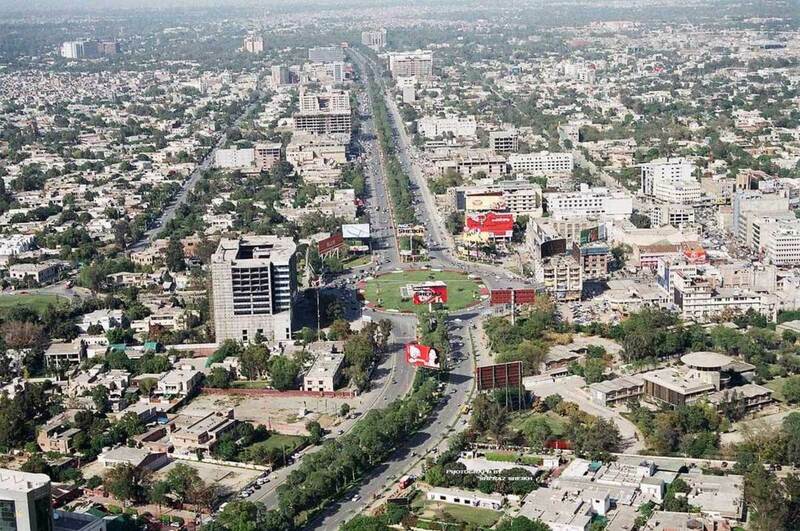 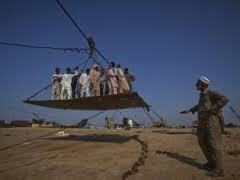 Gadani is coastal village in Pakistan Baluchistan province which population is estimated ten thousand people. 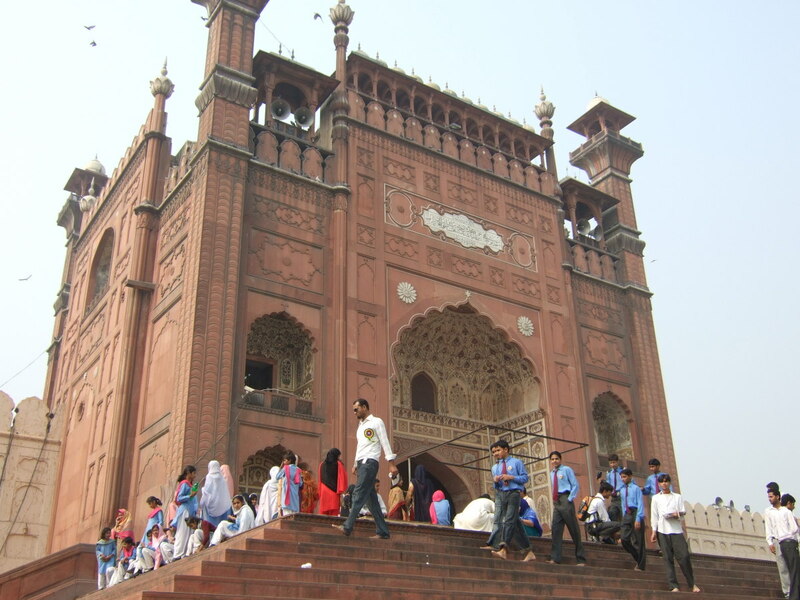 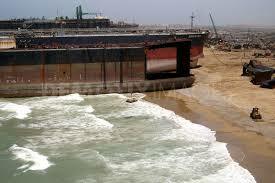 Gadani is famous for its famous Gadani Beach and ship breaking service. 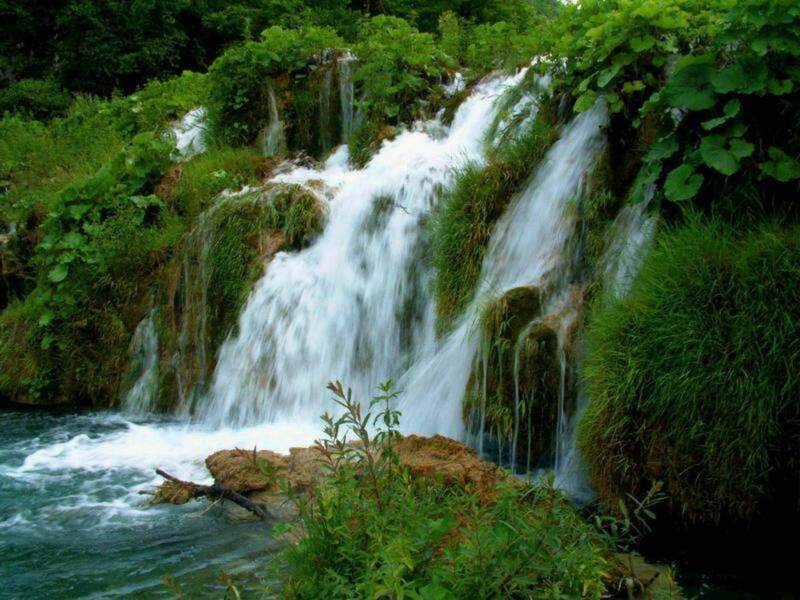 The majority of population in Gadani speaks local language Blochi and some Sindhi people are also available in Gadani main profession of local population are fisherman. 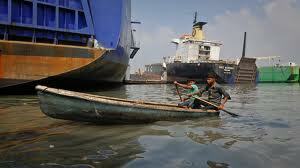 Large sea provide large number of fishes and other sea species. 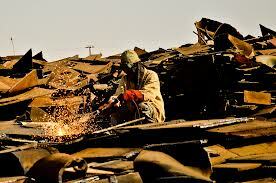 Some of Gadani population is also related to ship breaking activities. 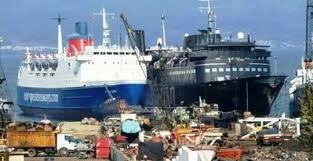 The Gadani Ship Breaking Yard is situated in Pakistan Baluchistan Province about fifty kilometer north east of Pakistan largest city Karachi. 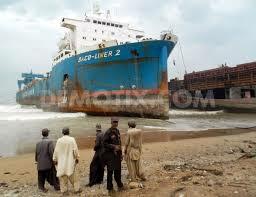 Gadani shipping yard is world third largest shipping yard after India and Bangladesh. 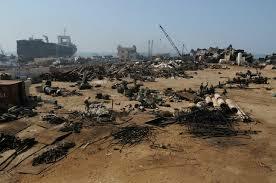 Gadani shipping yard is consists of 132 ship breaking plots. 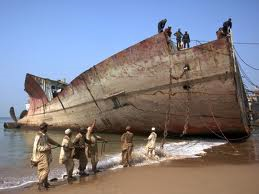 In peak season of ship breaking more than thirty thousands labors from different parts of country took part in ship breaking activities in Gadani. 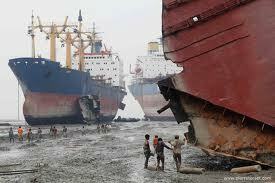 Past few years several world largest ships anchored in Gadani for ship breaking. 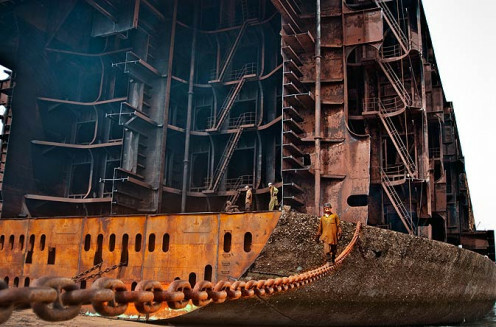 Gadani ship breaking yard produced over one million tons of ship scraped every year. 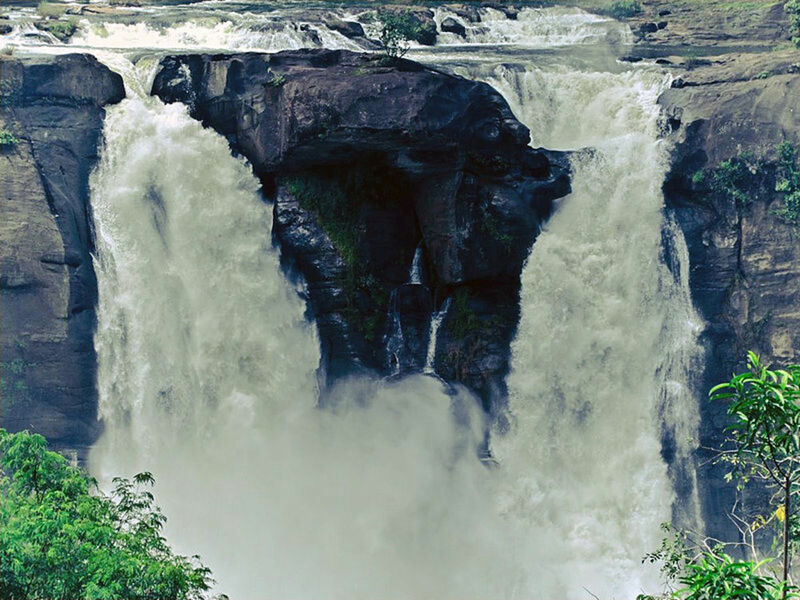 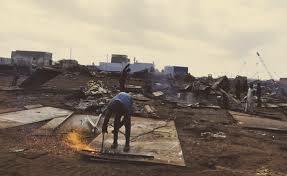 Most of the scarp is transfer to other parts of country for industrial and other use. 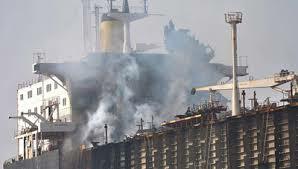 Gadani shipping yard is currently has annual capacity of breaking 125 ships every year including very larger capacity super tankers and big cargo ships. 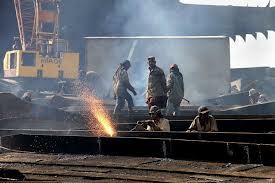 Gadani is also world leading ship breaking yard in terms of efficiency. 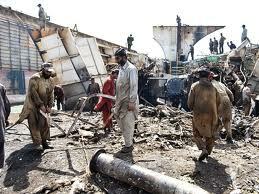 Large size of ships are usually broken in only forty to forty five days in Gadani. 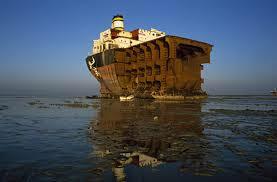 Cost of ship breaking is also low in compare to Bangladesh and India because of cheap labor at Gadani. 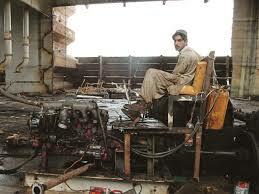 Ship breaking job is very hard and tough and need extra skills and power. 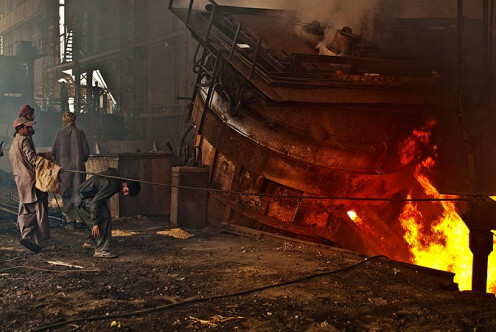 In Pakistan most of people who are related in ship breaking jobs belong to KPK province these people are naturally very hard working and strong. 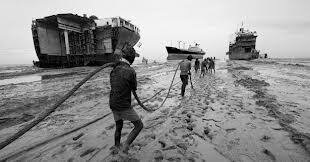 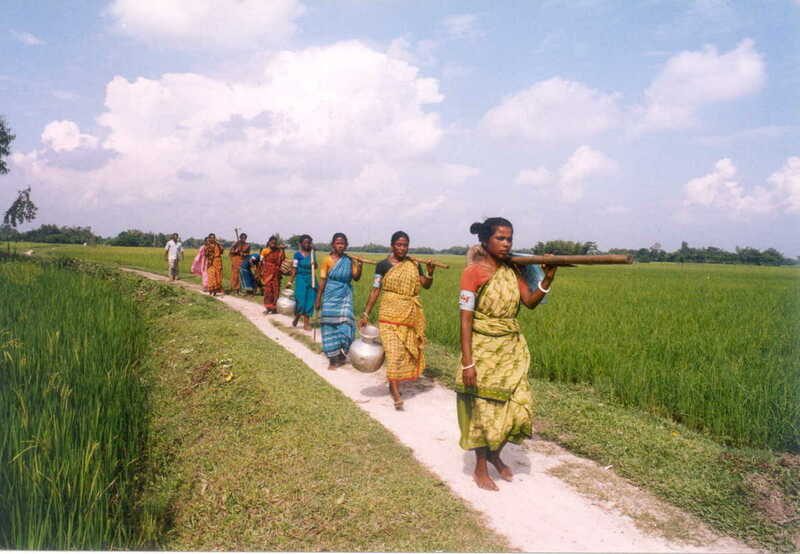 Despite hard labor and working in dangerous working condition some times in open sea and sometimes in scorching sun labors average wages are only less than four dollars a day most of them working long hours to provide daily necessities of life to their families. 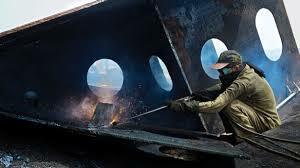 Some times even in unsafe working conditions labor are forced to work long hours They have to work in several feet heights to break different parts of ship. 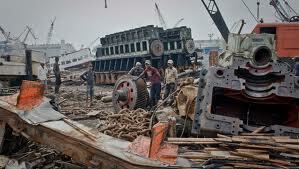 During hard work in different unsafe parts of ship several labors have lost their lives. 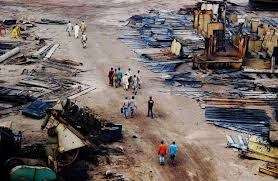 Ship breaking activities at Gadani started after creation of Pakistan now Ship breaking at Gadani is big industry in country over half million of people are also indirectly involved in ship breaking activities. 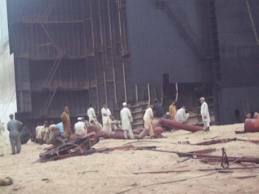 Despite lack of modern facilities and hard working conditions Gadani ship braking yard is still considers world best ship breaking yard.